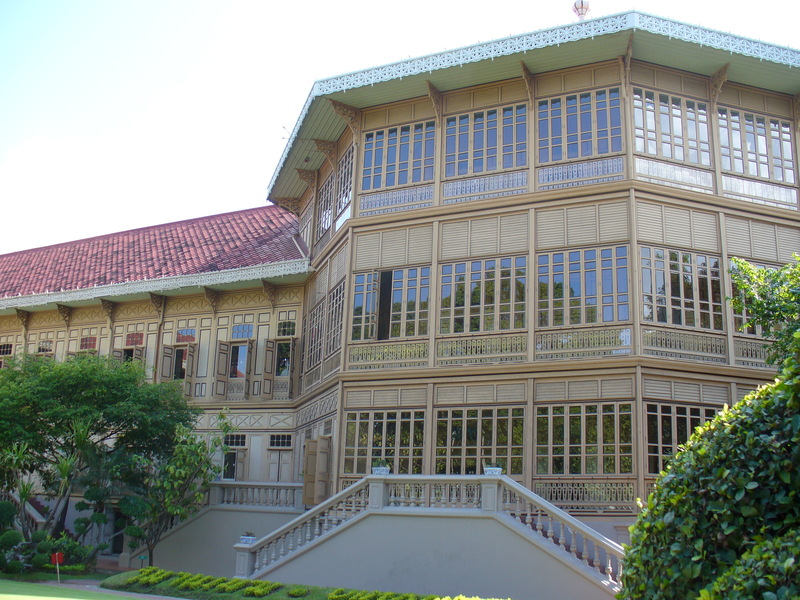 Vimanmek Mansion is the largest teakwood mansion in the world and was built by royal command of King Rama V in 1900. 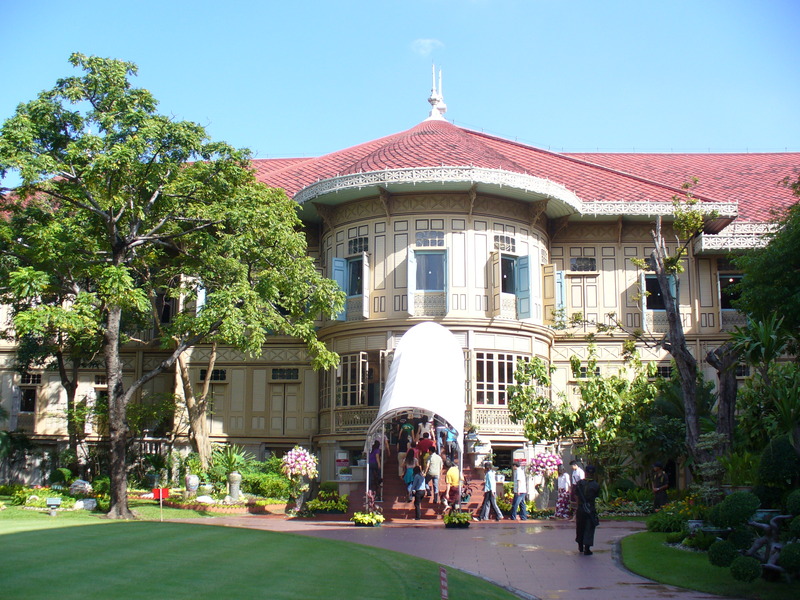 The mansion was completed on March 27, 1901 and King Rama V moved from the Grand Palace to reside in the mansion for the next five years. Like most temples and palaces in Thailand, taking pictures is prohibited inside the compound; therefore, visitors must witness everything with their own eyes. The first thing you notice about Vimanmek Mansion is that it is completely built without any nails and its exterior frame sports a very Western feel. The only thing keeping the building together are wooden cogs in the individual beams. Parts of the mansion now double as a museum and in some of these rooms visitors will discover some of the oddest collection of treasures. In the Ivory Room there is a large collection of elephant tusks and even two umbrella holders that are made from real elephant feet. Right next door to that you can see the large muskets and swords used to collect these valuable treasures. The mansion is divided into five separate sections and each is painted differently so if a guest were to get lost they would know roughly where they were in the house. There is only one bathroom in the mansion and it is in the king’s quarters. The bathroom is simple looking and the bath itself looks like a concrete sandbox. Surely this was a major luxury in those times. The king’s quarters is a hexagonal shaped room that rests on the very top of the mansion overlooking the surrounding gardens and the front entrance. Some of the windows and furniture have been left in their original condition. These little attributes give visitor something special and link them into the lives of the Thai royal family.